Nobody really likes getting blood drawn. Best case, it’s painless and you’re out of the doctor’s office quickly. But then there are those instances where you end up killing an afternoon at the clinic, only to have an intern stab your arm in five different places before hitting a vein. A new company (with backing from US defence heavyweights DARPA) would like replace needles and make blood testing way more convenient in one fell swoop. 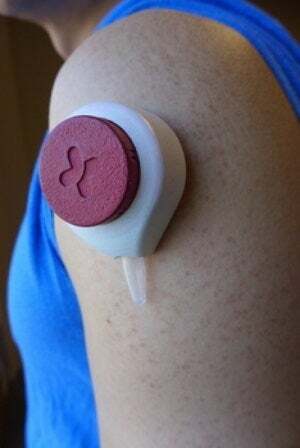 Tasso Inc, an affiliate of the University of Wisconsin-Madison, has just received a $3 million federal grant to continue developing a pingpong ball-sized disposable device that allows users to painlessly administer their own blood tests in just two minutes. Rather than puncturing a vein, when the user holds this device against his or her skin, it creates a slight vacuum that immediately starts to pull blood from many microscopic open channels called capillaries. During the process, capillary action — the same physics that causes water to wick up paper — beckons blood into an attached collection container. The device can currently extract about 0.15 cubic centimetres of blood, enough for most routine lab analyses, including cholesterol, infection, cancer cells and blood sugar tests. The DARPA grant will fund research aimed at designing preservatives that can stabilise a blood sample for up to 1 week at 140°F (60°C), which enable users to send blood in for analysis without the hassle of rush-delivering it on ice. A real improvement on the current options.